I don't think there's a better feeling than removing your makeup after a long day and treating your skin to a nourishing cleanse. Skincare is my favourite beauty section to shop and explore, there's SO many new and innovative products launched in the past few years and that it so exciting. Before micellar water came along, I was all about the wipes for removing my makeup. It now makes me cringe to remember then! I've tried a few micellar waters but always come back to the Garnier Micellar Cleansing Water. It's great for removing really stubborn eyeliner or lipstick and doesn't sting my eyes. Plus point is that it's also available in Savers and Wilko, below the RRP price in Boots. This is the bread and butter of cleansing, my pillar of cleansers. I like to use a cream cleanser after removing my makeup, gently massaging it across my face then removing it with a flannel. Liz Earle is the pinnacle of cream cleansers clearly, but I found a great dupe from Aldi (of all places!) that it so soothing on my skin and leaves it feeling soft and smooth. 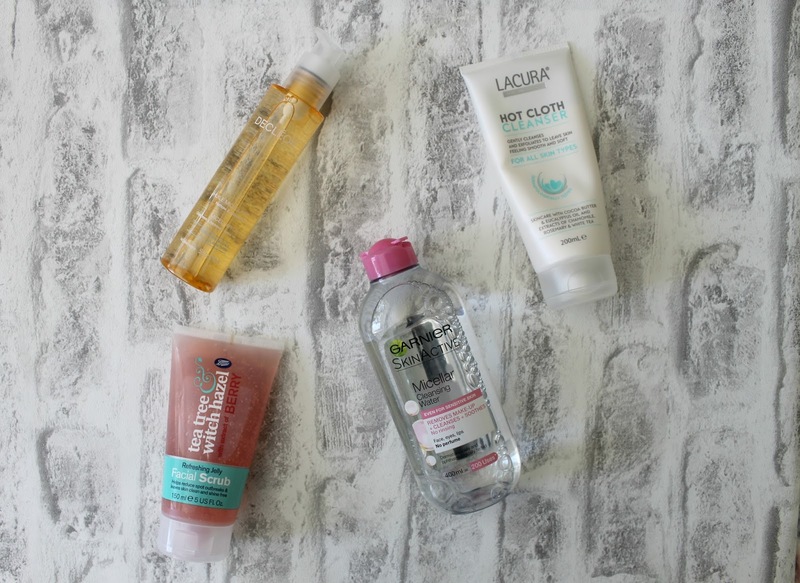 I've used a few oil cleansers in my time and they are really lovely to use in the colder months, as my skin tends to become tight, dry and uncomfortable. Sometimes I've been too lazy to use my micellar water and skipped straight to an oil to remove my makeup and generally they do work well to break down my makeup and cleanse my skin. I'd definitely recommend the Una Brennan Superfacialist Vitamin C Cleansing Oil, read my full review here. Whilst my evening cleanse is more luxurious and a treat for me, my morning cleanse is a lot quicker and efficient. I'll normally opt for a gentle scrub or gel cleanser that refreshes my skin and preps it for moisturising. Simple has been a long love of mine, but Boots own are actually really great value for money. I love their Tea Tree range and now the Berry range has added gels and scrubs and I am obsessed with them! What's your cleansing routine? Any recommendations?